The body of the Baron features steel liners overlayed with blue aluminum and features a textured aluminum overlay with a cutout. A black pocket clip (tip down) ensures easy carry and access. 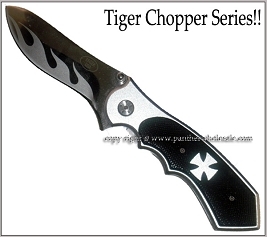 The overall fit of the knife body is quite good as are the the action and lock-up. 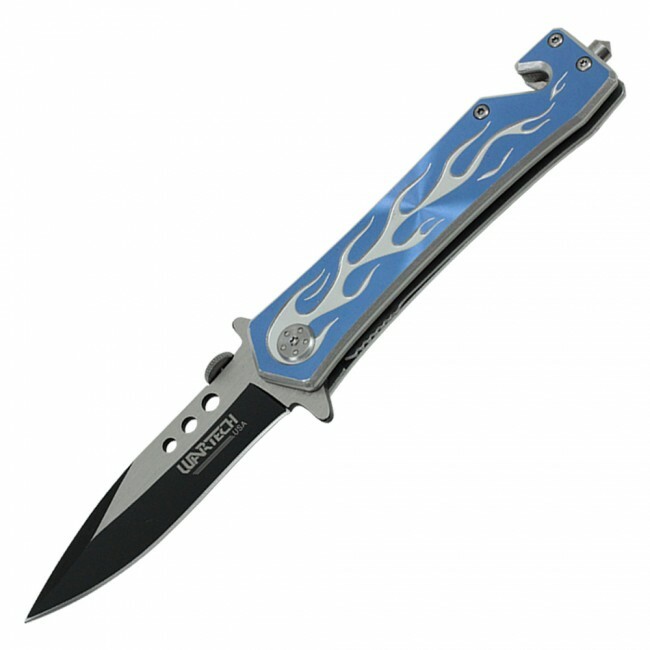 Blade: 3.25" Overall 7.8" Weight: 5.6 oz.